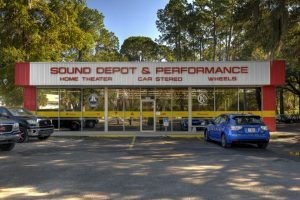 Sound Depot & Performance in Gainesville is your headquarters for truck accessories. We specialize in turning your truck into the truck of your dreams. Whether it’s bolt-on performance to add acceleration, speed and fuel economy or appearance enhancements like grilles, running boards or accessory light bars – our experts at Sound Depot & Performance know what it takes to personalize your truck to meet your needs. A truck is much more useful and user-friendly when the bed is protected. Whether it’s one of our hydraulic shock-assisted, color matched bed covers or a bed liner that protects the metal surfaces, we have many options for you to make more productive use of your truck bed while preserving the overall condition. Adding a truck bed cover is a great way to improve the fuel economy of your truck because air slides over the top of the bed rather than collecting in the bed to reduce the flow. Bed covers also provide an added measure of security because they can lock to secure any valuables left behind, such as tools or personal belongings. Lifted trucks can be challenging to climb into, but even standard height trucks can be difficult for easy entry. That’s why we offer a complete range of side steps, power steps and running boards to suit nearly every type of truck and SUV on the road. Let our experts show you how we can add functionality and style to your truck while making it easier to enter and exit the cab. With power side steps, you don’t even see the step until the door is opened when the step automatically drops down from the frame to greet you for easy entry. 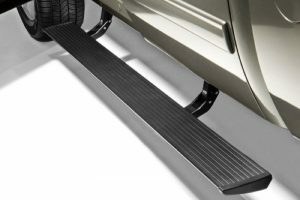 All of our side step and running board products are well manufactured and engineered to fit your specific make and model so you need not worry about depending on that step when you enter and exit the truck. It’ll be rock solid. At Sound Depot & Performance you’ll find a vast selection of brush guards and front push bars. Whether you’re interested in an aggressive look or a subtle enhancement, we’ll show you some options that meet your needs and add to the exterior look of your vehicle. 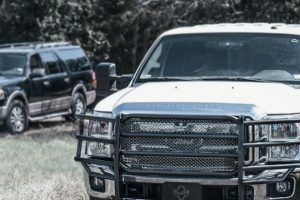 All of our products in this category are built for your specific make and model of truck, so you know it’s going to fit and function right the first time. Whether you go off road, tow a boat or simply like the aggressive look of an outfitted truck, Sound Depot & Performance has what you need. We offer engine performance enhancements such as engine control unit (ECU) performance chips and diesel engine programmers. These enhancements use the existing engine’s electronics to tweak the untapped performance in your vehicle’s engine to maximize horsepower and torque. 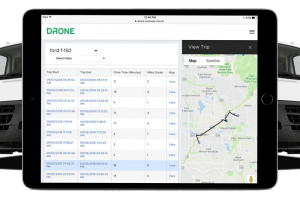 The best part is we can do all this without changing the kind of fuel you use and sometimes we can even enhance the mileage per gallon in the process. While there are many types of accessory lighting, we specialize in rigid accessory lighting. This is lighting that is mounted to light bars or firm surfaces like bumpers, roll bars or other integrated metal parts of the vehicle. Our selection is commensurate with what most truck owners need for various off road lighting duties. 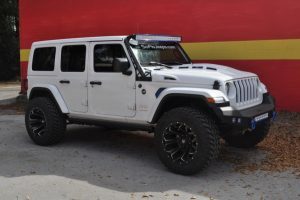 Come by and inquire about what kind of rigid accessory lighting solutions we have for your vehicle. 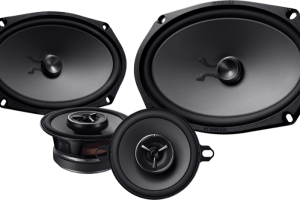 Stop into Sound Depot & Performance for a no obligation consultation and thorough analysis of your truck accessory needs. Whether you have a Ford F-150, GMC, Chevy, Dodge, Nissan, Toyota or any other type of truck, we’re experts in truck accessories and passionate about achieving excellent results for our customers.